Top of the Sanibel mornin’ to ya! It’s always a lucky day just to have the time to walk the beach… but it’s a very lucky day if you find a couple of WENTLEPTRAP shells. Paula brought down some Luck O’ the Irish from Boston to find a few O’wentles near the Sanibel lighthouse and pier – along with a few other sweet minis. Did someone have to kiss the Blarney Stone to find a whole handful of O’wentles like this? We can ask Deenie since this handful was hers. Wait a minute. Deenie is from Massachusetts too. Hmmmmm…. I danced a little jig to find a few of my own plus I found a LINED TREE SNAIL, a violet tinted juvie FIGHTING CONCH and a double ALTERNATE TELLIN to name a few. While we were finding our Pots of O’Wentle Gold, I was green with envy to know that Bruce from Chicago found a JUNONIA at Blind Pass Sanibel a few days ago. PS… I believe the WENTLETRAP at the top of Deenie’s hand is a BLADED WENTLETRAP along with a few others but most of the others are ANGULATE. Deenie was very excited that a few days ago she found her first BROWN BANDED WENTETRAP so we talked about that top one being different as well. I realized that I never added the BLADED to my lineup of WENTLETRAPS on my post How To Find Wentletrap Shells so I’ll update that soon so we can see the differences. And the balance of the day to you! I be lovin’ yer wentletrap clover! My fav Irish Blessing fits for you and Clark and all the shelling sisters. May your pockets be heavy ( with shells) and your heart be light, may good luck pursue you each morn and night. I have been wanting a shell tatto, so I should use your designz to match my other one that says Kiss me I am Irish!! Always fun to find tinted shells that are unusual. 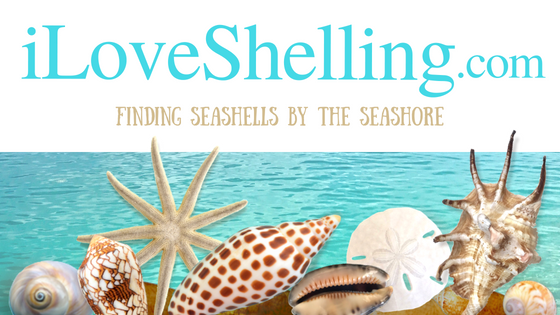 Happy St Paddy’s day to you and all the other shell lovers out there. Left Sanibel Island last night feeling like I hadn’t found anything until now when I tallied my loot – one little bubble, two calico clams, one lace murex, one other murex, many calico scallops, one rough scallop, one zig zag flat scallop, one juvie fighting conch, one banded tulip, kitten paws, one worm shell, and others that I didn’t pick up. Flat scallop my fav. Ten unique pieces broken, shaped and tumbled to make jewelry pieces. Thanks for all your info that helped me on Sanibel. I hope I find some when I’m there in April! I saw your video from a while back picking up dozens all over the place…are wrentlewraps hard to find? I love the shot of the sunset stoopers! I am hoping to be there towards the end of June this year so we can bring Kenna with us. Hope to see you then and I will keep you posted on the dates. Definitely the pot of gold at the end of the beach – that wentletrap shamrock!!!! Wow – double wow…..
Oh! Oh! Oh! Pulse rate sky high, respiration rapid! Wentletrap addiction at full power! Must. Have. More. Wentletraps. Lots. More. Wentletraps! Coming to Sanibel late April. Can I make it that long? Pam, from my time on those mud flats at the light house, fishing pier side, that beautiful photo is a sunrise, not a sunset. Even if you did not pick up one keeper, the photo is worth the trip. You have to be an early riser to be there when the sunlight breaks the nighttime darkness. But then you are rewarded with what you saw, and see two other early risers! No wonder why wendletraps were hard to find, with the expert competition scooping them up, while you are taking photos. Photoed a live banded tree snail while on Sanibel this year. I had never seen one before and there you go finding two shells since I returned home in early Feb. Wish I was there even though the Woodducks have returned, the Spring Peepers are singing and the Woodcocks are dancing here. The weather hasn’t figured out it is Spring as yet.